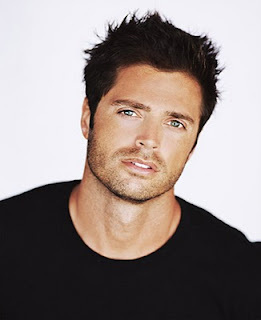 David Charvet is well known to fans as a hunky lifeguard on “Baywatch,” but he stretched his fan base even further when he went on to star on the nighttime soap “Melrose Place.” Since then, he has been busy with his music career, being a father to his four kids (with fiancee Brooke Burke) as well as fitting in a movie here and there when his schedule permits. His latest movie is the Lifetime Movie Network thriller “The Perfect Teacher” (which airs Sept. 12 at 8 p.m. ET), where David stars as a good-looking young teacher who becomes the object of desire for one misguided student. Celebrity Extra: Tell me a bit about the movie and your role in it. David Charvet: “The Perfect Teacher” is about an actual story that happened with a student and a math teacher. This is kind of an issue that happens a lot nowadays, where younger women, high-school girls, fall in love with their teachers. For me, it was kind of interesting to play a teacher, because I have never played one before. After having four children, I also wanted to play a father. So, for me, those two elements were really more interesting to explore as an actor. CE: How could you relate to your character, Jim? DC: Being a father is something I can really relate to and really wanted to play. The other thing was, he’s a good guy. He loves his family and he’ll do anything for his kid. He’s a hard worker and he has a lot of passion for life. I can really relate to that. I have a lot of passion for life and I really love to do everything at 100 percent. That’s the kind of character he was. CE: As a father of daughters, was it difficult for you to play a teacher who becomes the object of a young girl’s affection and fantasies? DC: Funny enough, that was kind of the hardest thing for me for this role, to actually be able to justify that when this girl is coming on to me that I don’t completely see it. Obviously, Jim knew that she was kind of flirtatious, but that it wasn’t really going anywhere, especially with my girlfriend also being one of her teachers. I think that he’s figured it all out kind of toward the end. Sometimes I think that guys are like that. Guys aren’t always figuring things out right away, and it takes them a little bit of time, especially in the woman department. He honestly felt that she was a girl who was a little lost herself. CE: How was it to work with Megan Park (“The Secret Life of an American Teenager”)? DC: Megan did a great job on this. I have to say that it probably was not the easiest role in the world, and I think she did really well. I actually saw the movie a couple of weeks ago, and I thought she played it right. Sometimes you can play this so over the top, and she didn’t do that. She kept it real. I think we all tried to keep it as true as possible and make it as real as possible, that if these circumstances really did happen we wouldn’t look like we were completely out there. CE: What is the lesson learned from this movie? DC: The biggest message is what can happen to somebody who is actually trying to do his job and be a good teacher. This is happening in schools today, so we are just kind of portraying a story that could possibly happen. I think it’s important for people out there, especially young kids, to realize that they could actually ruin someone’s life when their schemes get out of hand.